BeYu Holographic 997 | Light Your Nails! This is so classic. Laaauve!!! It's a great one! Gorgeous shade. This one looks amazing! I'm really sorry that they are going to remove BeYu from your country =(. That's some great info! We have ArtDeco here but only in salons, while BeYu was at a drugstore. Make Up Factory I don't think is distributed over here. I can see why you love it. It is a gorgeous colour. OMG this polish is gorgeous! Ohhhhh yes, oh my gosh! I love this polish!!! The holo and the rich colour and ahh! Love! Such a beautiful color! It's a shame it will be hard to find now. I love everything in the purple family and this is super pretty! I have a couple similar shades BUT GORGEOUS!! 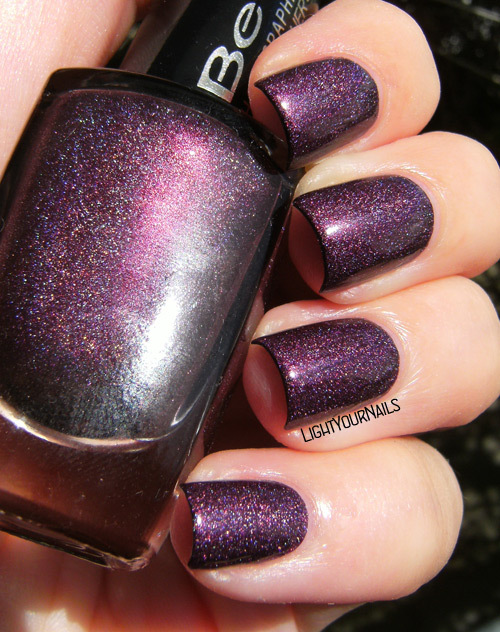 I love so many BeYu polishes - I wish we could get them here! wow. This color is crazy! You know, this is a super stunning color! I never really pay attention to this brand though.. I loved their seasonal collections and limited editions honestly! I need his in my life too.... !!!!!!!!!!!!!!! You always nail at capturing holos. This is such a stunning color on you, I love it. That's beautiful! I also heart purple! 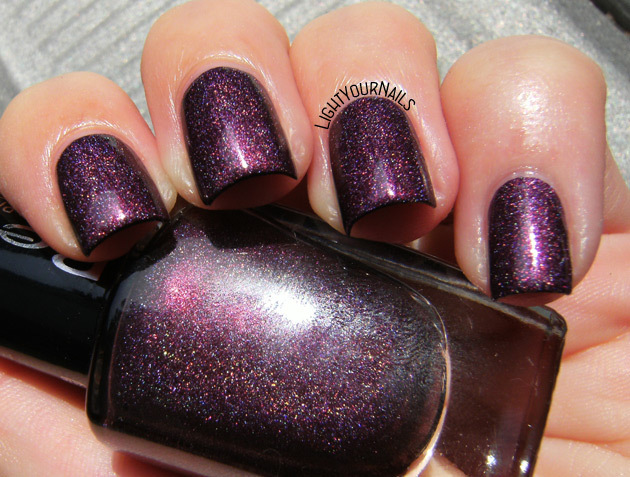 The deep purple is gorgeous, it's so rich and elegant looking with the holo giving it a fun kick.